How many ladies that are reading this order scotch neat? How many ladies even know what that means? I’m going to make an assumption and say not that many. As women, we aren’t taught naturally how to order or ever really learn what to drink. Thankfully, that can come to end with a book I was introduced to at Tales of the Cocktail. The book, titled Booze for Babes (such a great title) written by Kayleigh Kulp, is essentially a guidebook for babes who wish to stray from the usual and expand their horizons. Mind you, I am a whiskey drinker and still learned a lot from the book. Kayleigh writes in a way that makes you feel like you are having a really meaningful conversation. The book breaks down every bar term that you would need to know. It also explains how to build a home bar and what tools you need to be your very own Tom Cruise a la Cocktail in your own home. The absolute best part of the book is that each spirit is given its own chapter! If that’s not being thorough, I don’t know what is. Also, she shares recipes and anecdotes that bring everything together. My favorite chapter is on whiskey of course. Being a girl that loves whiskey, I began reading the chapter and assumed that I would know everything. I was incredibly wrong. Did you know that bourbon was created on accident?! I had no idea, but that is one accident I am glad happened! Check out Kayleigh’s chapter on whiskey for the details of this happy accident. Now with all this great information, Kayleigh makes the book even more fun with little illustrations throughout. It really grabs your attention and holds on to it. 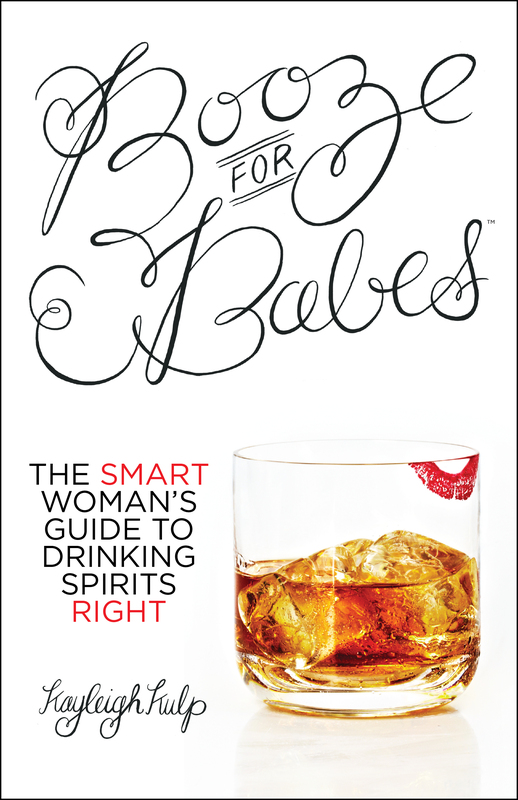 Booze for Babes™: The Smart Woman’s Guide to Drinking Spirits Right, will be released officially on January 1, 2014 but will be available on BoozeforBabes.com, in e-book form and from select retailers as early as September. Kayleigh even has a KickStarter campaign to help officially launch the book so if you believe that women can drink just like the big boys, please support her by visiting the link below. For any babes out there, this book should be your drinking bible! Did you know we’re on Pinterest?!? Are you following us on Twitter? We KNOW you’re a fan of our on Facebook. If not What are you waiting for? Socialize with us!